Commercial window cleaning is our bread and butter. We started out cleaning commercial store fronts over 7 years ago, primarily restaurants and small mom and pop shops around Nashville, Brentwood, Franklin, Green Hills, and parts of Belle Meade. First you'll want to know if the company is fully insured, reputable, and has good hiring practices. We take the time to multi-level interview each and every one of our staff. This is time consuming and cost more money for us upfront. Our hope and belief is that this multi-level interview process will reduce short term turnover and increase the chances of finding employees who actually like doing what they do for a living. Our customer's see the benefit when they see the same familiar faces coming to service the stores for them every two weeks. Second; making sure you're getting a competitive price and a maintenance schedule that fits your business needs is important. 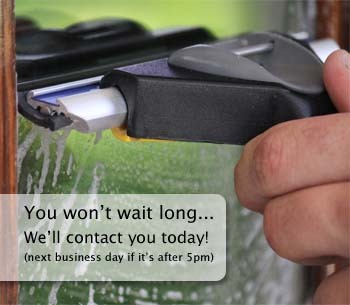 Having regular window maintenance can directly affect your business and influence your local Nashville customers. In fact, a Tennessee study on consumer behavior shows that on average clean or dirty windows is the first thing a shopping customer notices about a store front. Next, being the carpet or flooring, then the staff. Make your first impression count Nashville! Every business owner knows there is seldom a second chance to "do it right" at least with most patrons, so having everything just perfect the first time is the only thing that will suffice for a quality concerned department manager or modern executive in today's world. 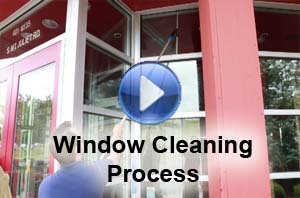 Commercial window cleaning service s give your customers the impression that your store cares and has it together, at least enough to have great looking glass. Create a professional, sharp, and well maintained atmosphere that sends a clear message that your company is doing well, and that Nashville is concerned with how they present themselves to clients. 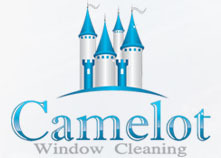 Camelot Window Cleaning of Nashville is licensed with the state, and is fully insured. We are more than happy to e-mail or bring copies of our W-9, insurance certificates, and business license when starting work with your company. 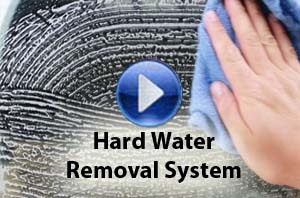 We are proud of our reputation that is growing amongst our customers and are able to provide references upon request. At Camelot we put safety first. Our service team is completely trained with ladder safety courses that bring them up to OSHA's strict safety standards. We invest hundreds of dollars each year in better ladders, stabilizers, self-adjusting legs that lock in place, ladder stabilizers, pads for the ends of each of our ladders, and other safety equipment. Getting hurt on the job to be faster or cut corners is not worth it. We are really good at what we do and fast enough to make money in our niche industry here in Nashville. At Camelot we are proud of our reputation and we take every effort to hire great people. Our service pros are background checked friendly, reliable, and have that southern hospitality that Nashville loves. Our prices are always competitive with our Nashville competitors and we offer exterior (glass facing the outside or street) and interior (glass facing the inside of your office or building) maintenance packages. If you need your window glass washed once a month, twice a month, or just once a year, we can make a schedule that works for you. Most of our clients are on our twice a month package, this ensures that there stores and buildings never get to the point of a patron pointing to the glass and saying "Those look like they need to be wiped". To protect your business and our company we carry full insurance. We use commercial quality maintenance products and professional tools along with years of experience to deliver stunning, streak free results. 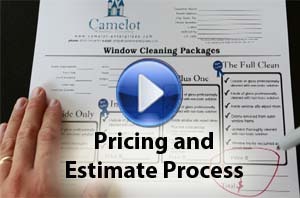 Having a window company provide this service once or twice a month is a must for small and large businesses alike. Our Window maintenance serves many sizes of store fronts and some short rise buildings around Nashville including hotels, restaurants, business complexes, banks, schools, hospitals, apartment buildings and condo associations, even mom and pop shops around town.